Tears Revolude is an exercise in unadorned ideas and vastly unrealized potential. 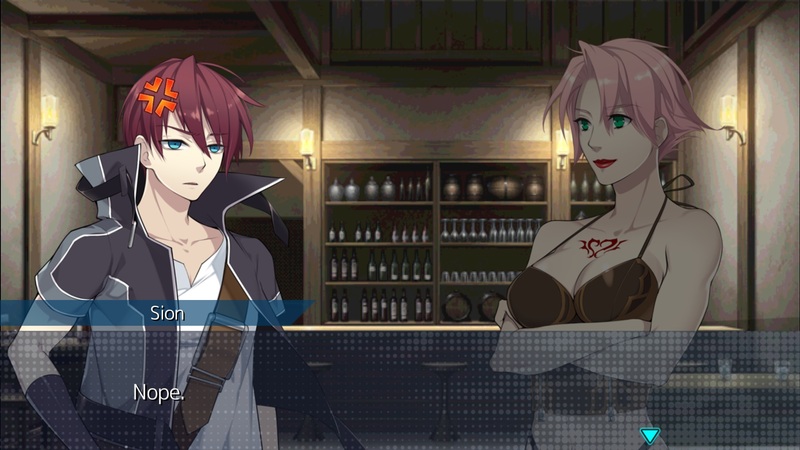 While managing to deviate from their normal fare by introducing several new styles and mechanics that could have segued into something truly unique, Kemco ultimately fumbles in bringing their ideas to full realization. 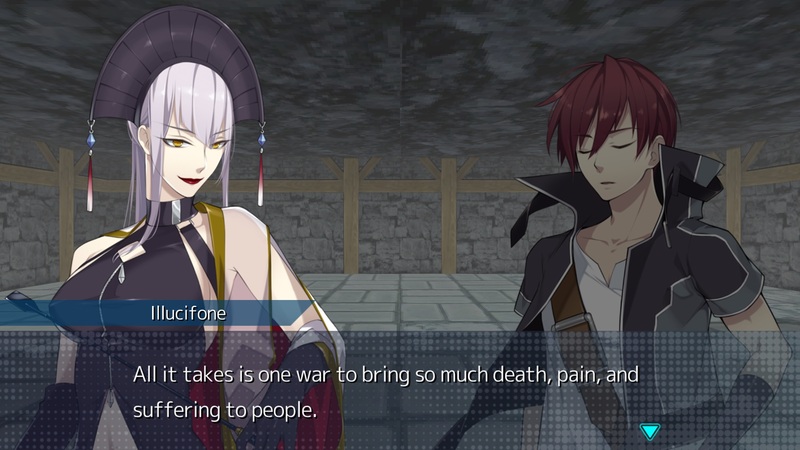 And although there are a few shining bright spots, we end up with a collection of half-hearted efforts, head-scratching development decisions, and the widest discrepancy in quality I’ve seen from Kemco yet. Tears Revolude tells the story of two treasure hunters, names Sion and Michelle, who have set off to find works from the famed artist Orwiel. During their search through one of Orwiel’s labs, they stumble upon a woman named Liara. Liara has zero knowledge of the outside world, so the two take her along with them. Meanwhile, the Guild, the ruling authority of the land, have a very cryptic obsession towards Liara and pursue her capture. Sion and Michelle, along with Resistance leader Albus and the informant Iris, take it upon themselves to protect their new friend while revealing the truth of Liara’s existence, how she fits into the Guild’s motives, and how an artist who lived a century earlier is related to all of this. In terms of story, Tears Revolude is severely deficient. The plot begins in a cave and a random encounter with a mystery girl, then progresses in a series of events from there. No real explanations, no details, and worst of all, no depth is ever provided to establish a proper storyline. This is as barebones as you can get and the result is a dry, uninspired bunch of sequences with zero immersion. Although the narrative takes the form of dialogue between characters, the absence of detail and depth is evident here as well, disallowing any kind of character development to occur. Undeveloped characters make it terribly difficult to care for them or their plight. There are also a limited number of cutscenes and barely any kind of character interactions that occur away from the main plot. For example, it’s hinted that Michelle transitioned, however, just as soon as it’s introduced, it’s gone without any follow up or further interactions. What could have been a character and relationship building theme is merely an empty throw away. Conversely, Asdivine Hearts had these interactions in spades; opportunities which allowed for true depth and exceptional development. Here, though, I never got the chance to forge those emotional investments or make any connections with this cast. Because of this, moments that were supposed to be sorrowful, rage inducing, or rallying are simply devoid of any impact. This complete disregard of story and character building begets a plot that’s painfully linear and stale and a cast of characters that I’m entirely apathetic towards. It really feels like the story was just tossed in as a listless afterthought. Gameplay fares far better in Tear Revolude since it doesn’t seem like it was haphazardly thrown in. Gameplay is broken into actions that occur within dungeons and those in the outside world. Dungeon gameplay is where all of the combat happens, as well some puzzle solving. Combat is turn-based and simply designed. Along with the routine commands, each character can learn up to five unique skills that are either physical or magical in nature. As these skills are used, they level up and players can decide at what level to set a skill depending on the situation. 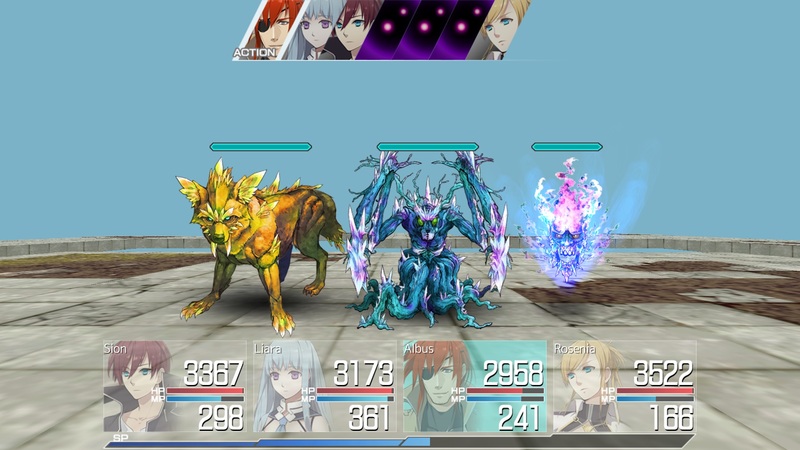 Up to four characters can participate in battle and, similar to Final Fantasy X, once more characters join your team, you can switch them in and out on your turns. Finally, a special attack can be unleashed by filling a communal meter with SP, which are gained through most actions. Each character has their own special, as well as an added effect if they join another’s special attack. For example, Albus’s special is a high physical damage attack, but if Sion is using his special, Albus can join and add a stat boost to everyone afterwards. The meter has four segments, meaning that a special attack plus three can join the attack. You don’t have to use everyone for a special and I found several situations in which I preferred to launch consecutive two-person specials. 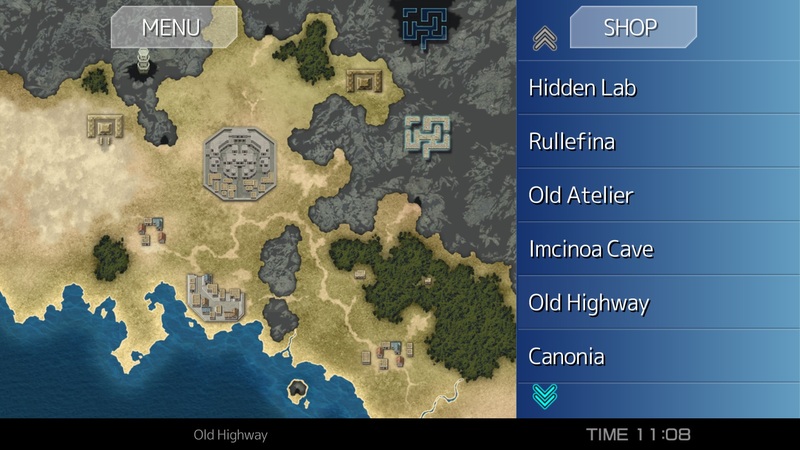 Outside of dungeons, players can navigate the world via a list of locations. Within towns and villages, a list based system is again used to shop, visit a blacksmith, or talk to the residents. While this style sacrifices the exploration element, the system is tight and speeds things up significantly. Talking to townspeople will yield subquests and visiting the blacksmith will allow you to upgrade your weapons. Rather than purchasing new weapons, you upgrade your weapon type with cash and rare collectables. You can also modify your weapon to favor specific fighting styles, such as magical or speed based. Finally, there is a simple gem system. Gems are placed in a weapon and provide a multitude of attributes. Expanding a weapon’s number of slots allows for more equipped gems. Effects can be stacked, but each attribute has a limit. As for its overall quality, gameplay is mixed. Combat, while visually stunning with its meters and sharp layout, is actually nothing new. While I found the special attacks intriguing, the rest of combat felt far too familiar. We’ve seen the upgrading of skills before and just altering the look and feel of selecting a skill level via a meter instead of a list doesn’t add gameplay value. Revenant Saga has transformations and it, Antiquia Lost, and Asdivine all have a Burst system, on top of utilizing hero and enemy positioning. I would have liked to have seen a similar level of depth here. Nonetheless, the Spartan, no nonsense combat makes it exceedingly functional and easy to master. 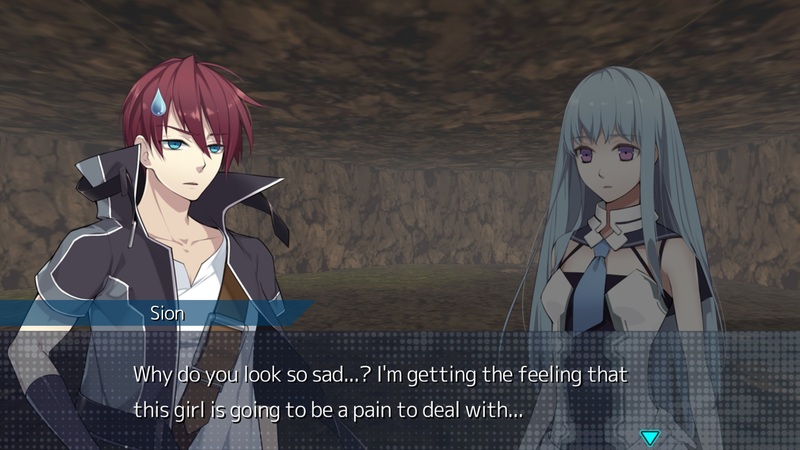 Also, and shockingly unexpected for a Kemco game, Tears is unusually easy. While I definitely appreciate not having to worry or prepare for ridiculous difficulty spikes and grinding, it’s a bit too easy. Fortunately, there are harder modes to compensate for this, but even then, the game may not be as challenging as one would hope. Outside of combat, the dungeons are mostly empty and provide the most infinitesimal amount of exploration. More discovery, more rewards for the trek, and more complexity to design would have all been greatly appreciated. The puzzles within are unmemorable and are easily solved via trial and error. Although hints are provided, they barely make any sense, so just trying every combo or memorizing your steps is usually enough to get through. Subquests are just as unmemorable, as they are either combat based or item fetching. This is a problem all Kemco games seem to suffer, but what’s worse here, many items can’t even be collected, as in enemies won’t drop them, until the subquest is first accepted. This forces unnecessary backtracking and serves as a cheap way of extending playtime. Finally, and on a high note, I found that I like the visual novel style of list navigation, as it speeds up gameplay and removes the need for overly long hikes across empty landscapes. Although you lose out on exploring new towns and villages, having the ability to do everything you need with a quick, compact system lets you get back to the action quickly and helps maintain play flow. It works incredibly well and I hope to see this system further refined and featured in the future. As for the look and feel of Tears Revolude, the aesthetics are wildly inconsistent. Visually, the game features both traditional 2D artwork and 3D rendering. Starting with the artwork, I’m usually impressed with the portrait work, but here, there is a significant drop in quality. These portraits are generally incredibly detailed and vivid, but here they’re just flat. I also didn’t care for the generic, recolored, overused portraits for NPCs. A few more base portraits would have gone a long way. What I do appreciate most is the enemy sprite work. The enemies are absolutely fantastic and easily my favorite aesthetic element. The artistry, detail, the plays on depth, and their movements make the 2D sprite pieces work together to create a very convincing 3D effect. Simply put, they’re very cool. I really hope to see this level of artistry again because they’re that awesome. Then there’s the 3D work, where the visuals falter most. The 3D rendering and textures, used mainly for dungeon layouts, are terribly bland, repetitive, and void of detail. It gives an awfully dated look and feel. The only aspect I did like was the first person camera window that helps to locate switches and doors. That was a nice extra, but it doesn’t make up for the lackluster 3D implements. As for the audio, its quality is also erratic. There are a few scores that are genuinely quite good and far exceed the quality of music from other Kemco games. Unfortunately, there are too few tracks and several of the blander ones are also the ones most reused. What upset me most, though, is that some of the tracks don’t loop properly. For example, I like the music for the last dungeon, as it does a nice job of conveying the impending peril, but there is a very obvious break at the end of the song where the replay should begin. This happens for several tracks and despite the music constantly changing with every enemy encounter, these hiccups are still very noticeable. Fortunately, the loop issue isn’t the norm. Overall, the aesthetics show such astounding potential, but are obscured by flagrant gaffes. Tears Revolude could have been brilliant, but only manages to average out its bright spots and drawbacks. While it doesn’t offer anything extraordinary, it does manage to avoid any real awfulness and distress. It’s truly unfortunate, however, as the flashes of brilliance the game possesses really made me want this game to be better, so much so that I wish I could have rated it higher. There are pieces here that could have been the building blocks of a fantastic game. Although some pieces, like the plot and character development, are shamefully missing and others, such as the visuals and audio, are not nearly up to potential, the combat system and, especially, the entire gameplay engine and style have such extraordinary possibilities. It’s almost as if the developers couldn’t see what was missing, nor how to best fit together the pieces they had for a complete and optimal outcome. Instead, you have severe disjointedness that permeates and affects the overall quality of the game. It certainly feels like a mobile game and its port to PC was dispiriting. Having said all of that, with its ease of difficulty and its simplistic design, this game can successfully serve as an entry point for those looking to explore the deeper world of JRPGs. Or, if you’re a more casual player or someone wanting a game that’s easy to pick up and play any time, the calm, chill style and modesty this game offers may be exactly what you’re looking for.